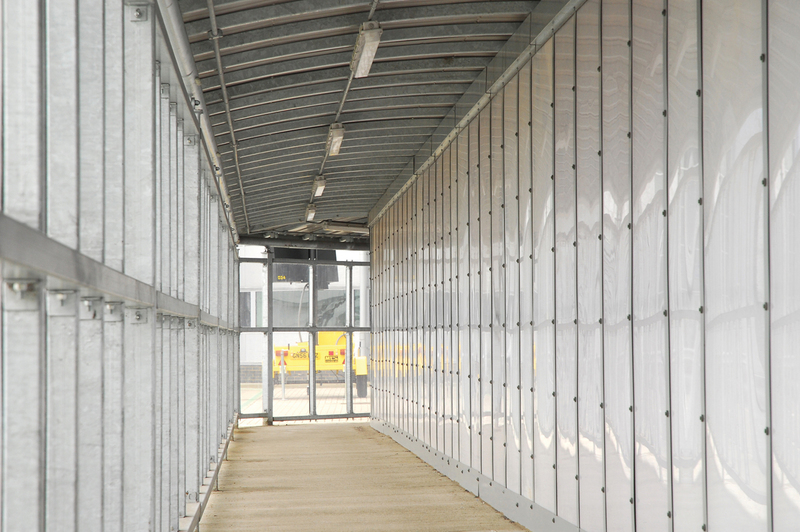 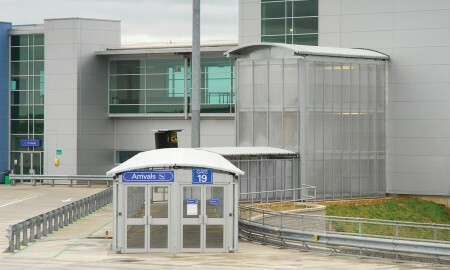 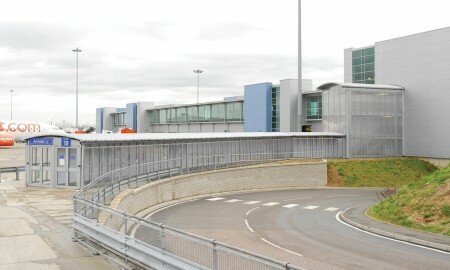 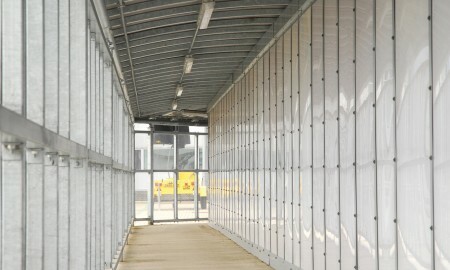 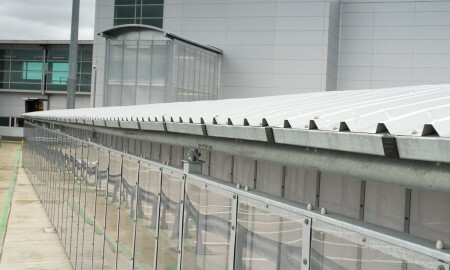 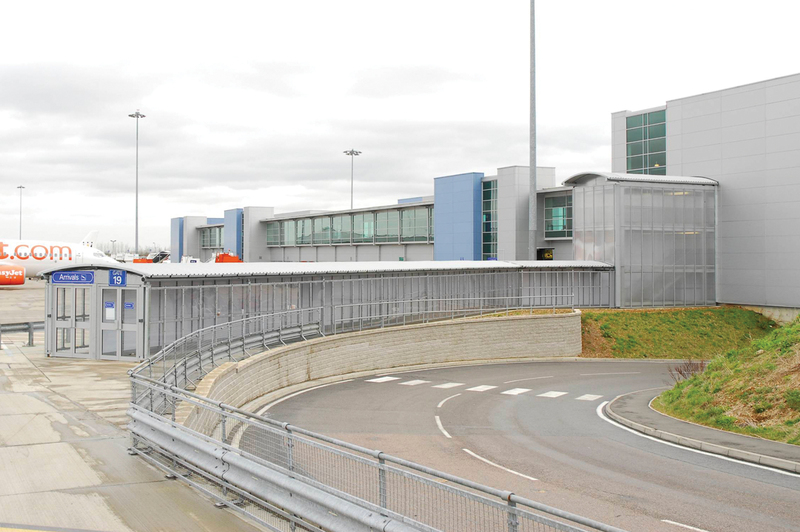 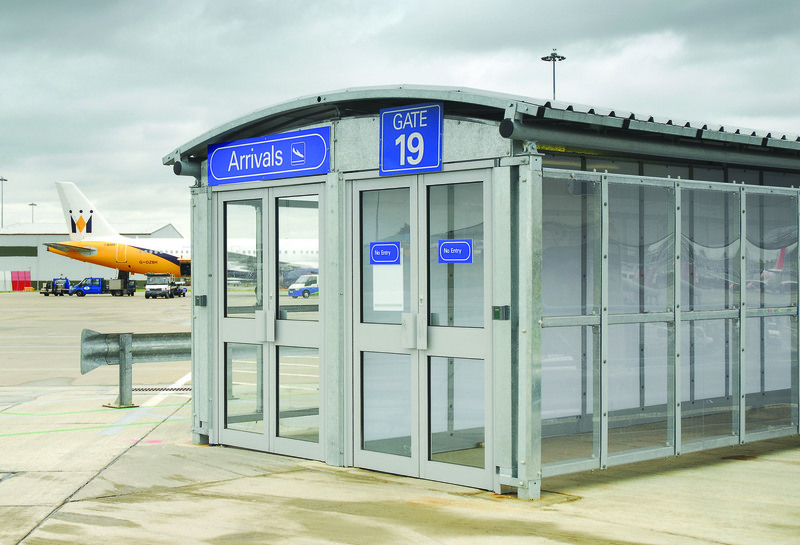 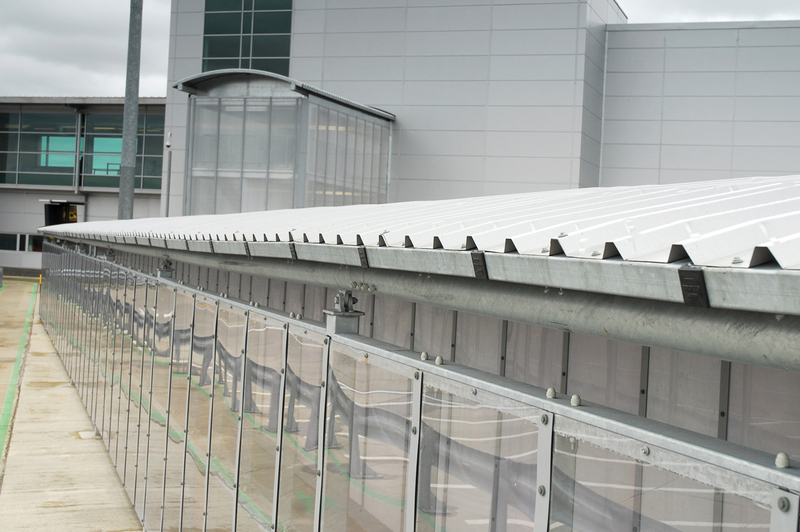 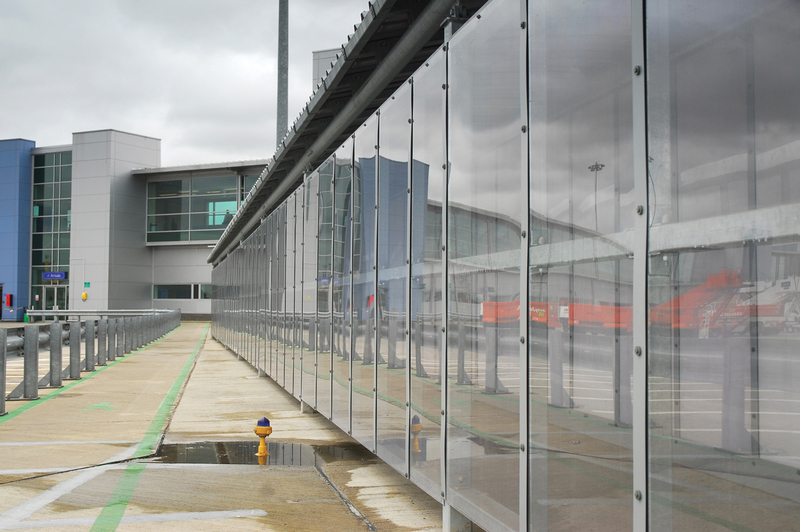 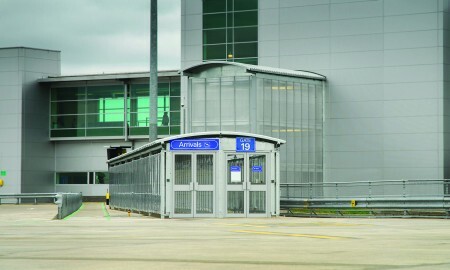 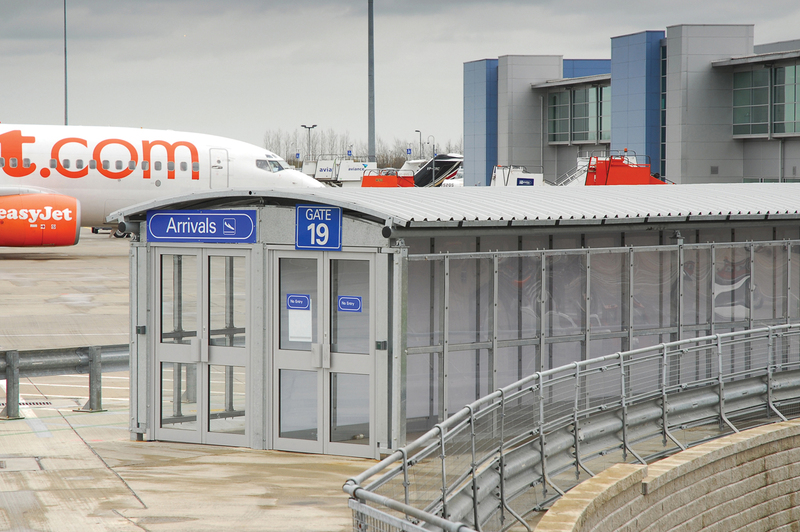 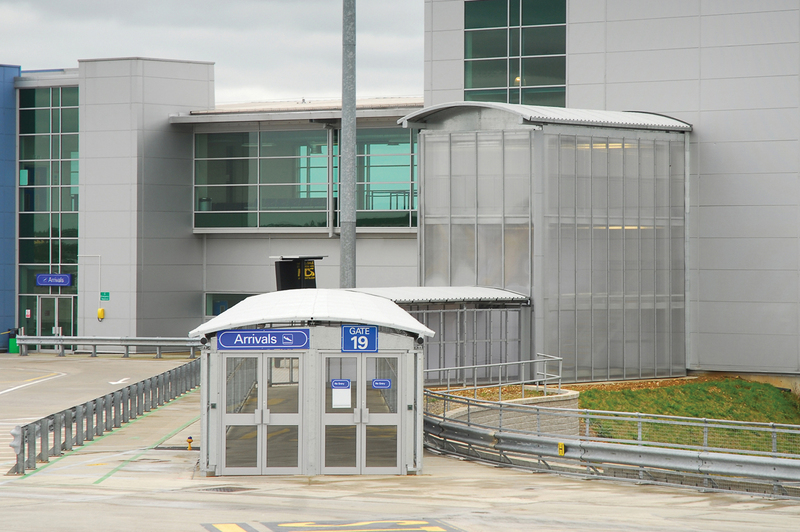 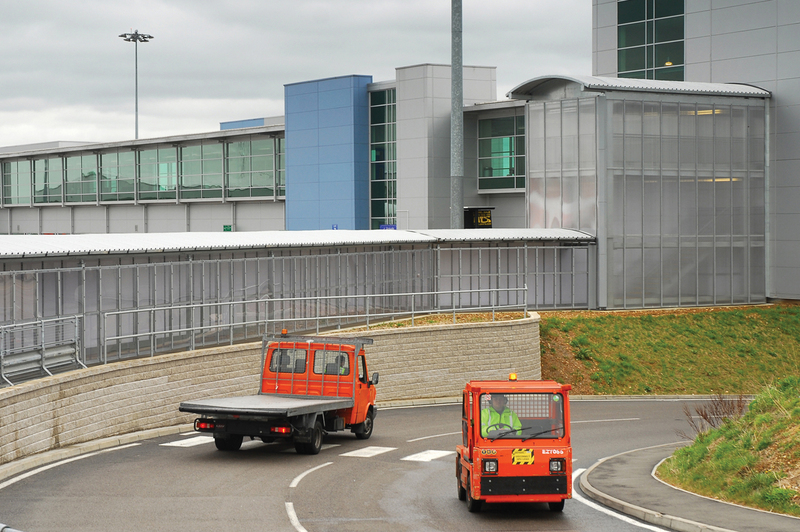 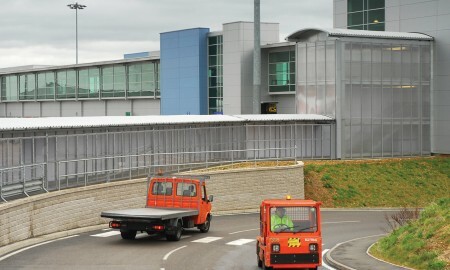 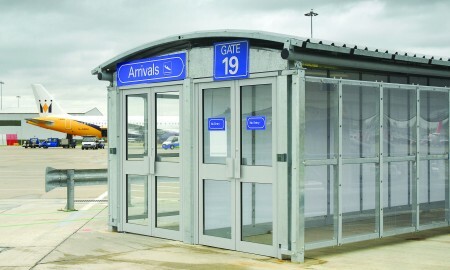 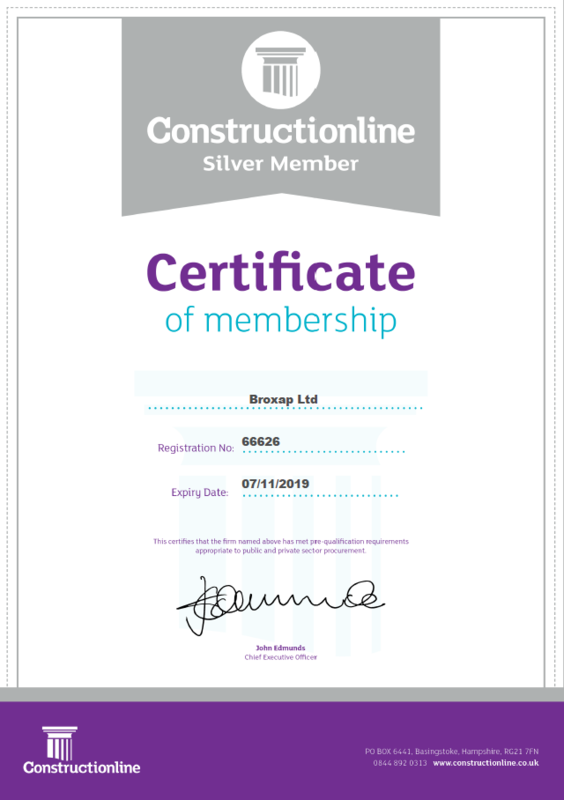 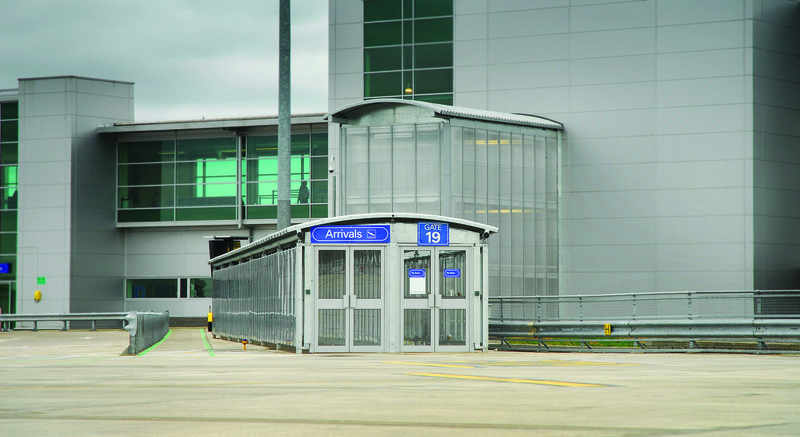 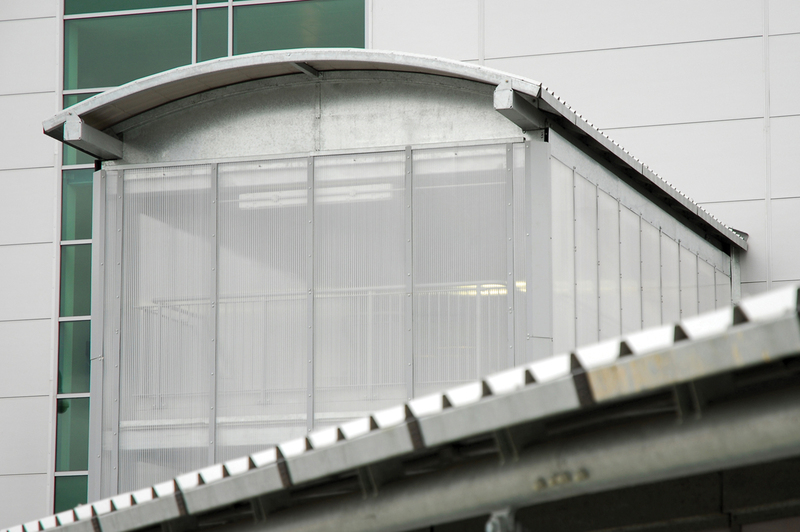 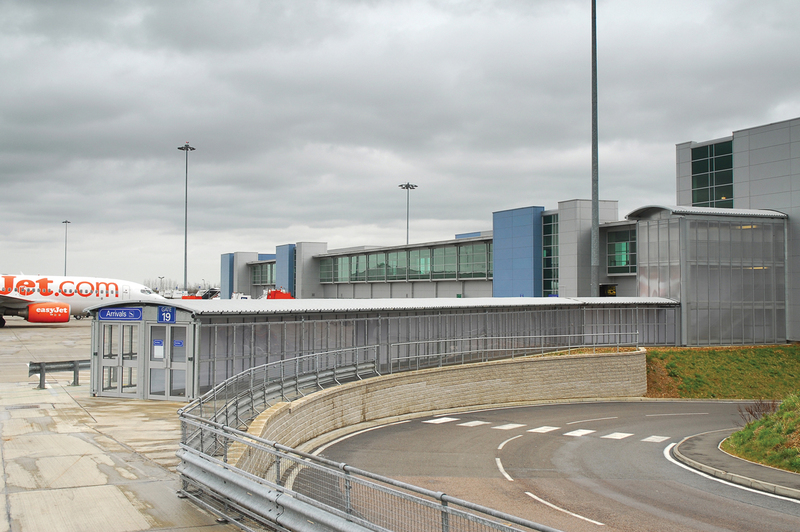 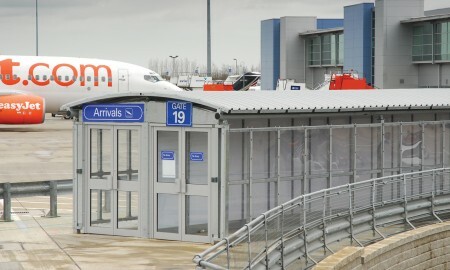 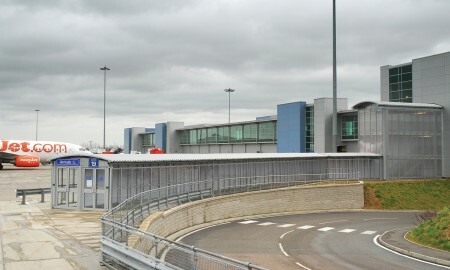 Contracted by Lagan Construction, this Broxap design & build passenger link allows the successful segregation of arrival and departure passengers from the main building to airside pickup points. 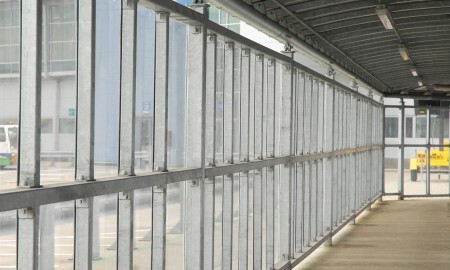 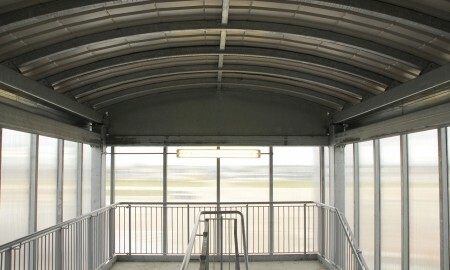 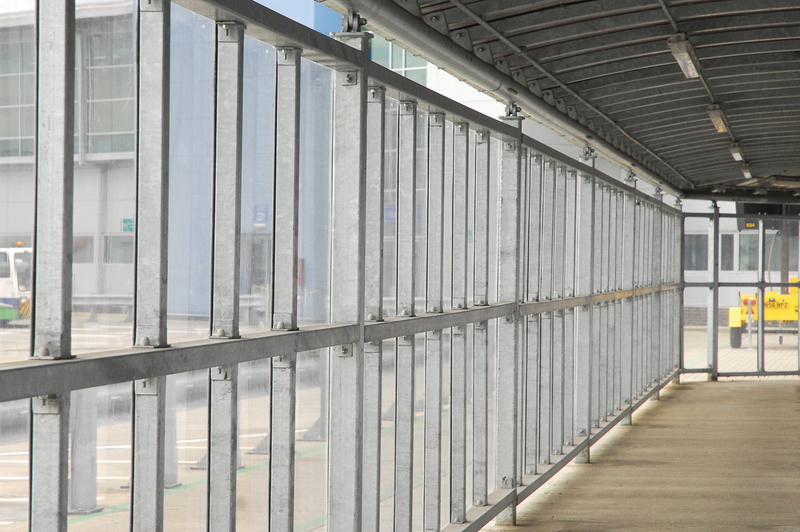 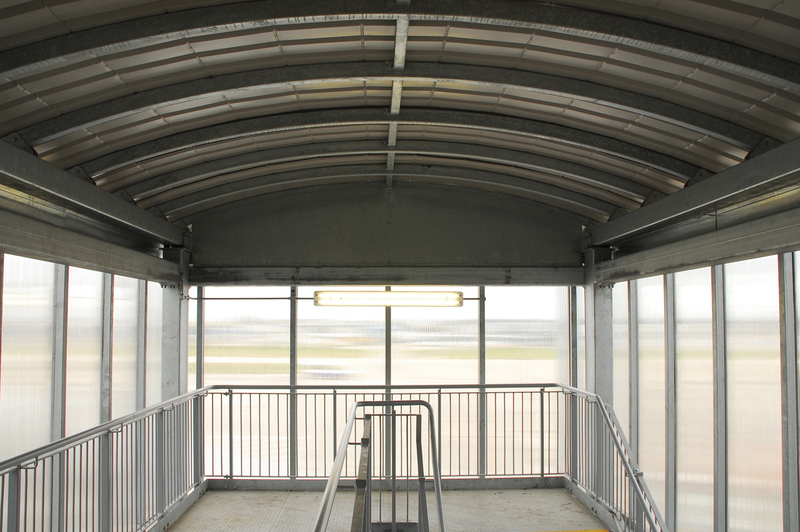 Automated security doors at both ends of the walkway, a floor-to-ceiling internal security screen and the inclusion of a multi-level stairwell structure ensure that passengers are kept completely separated. 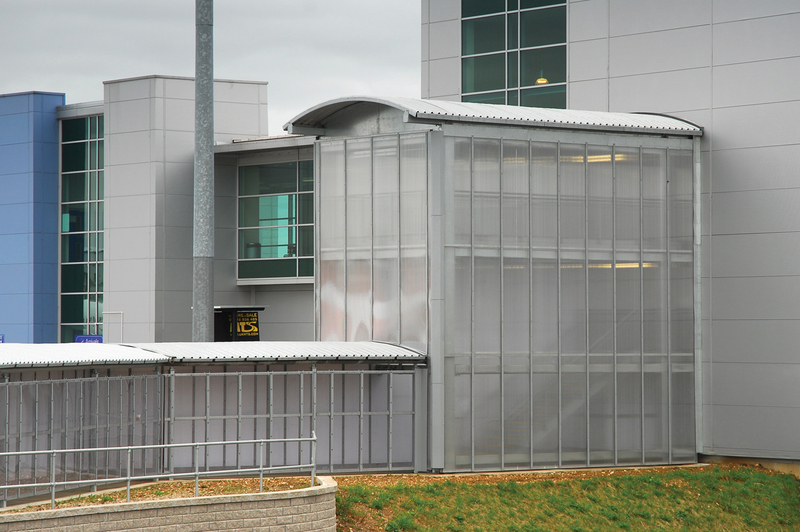 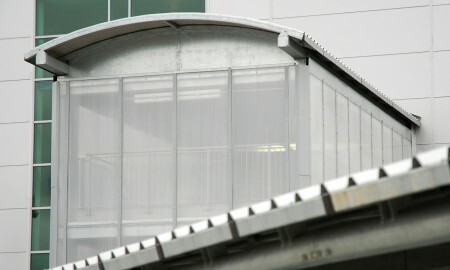 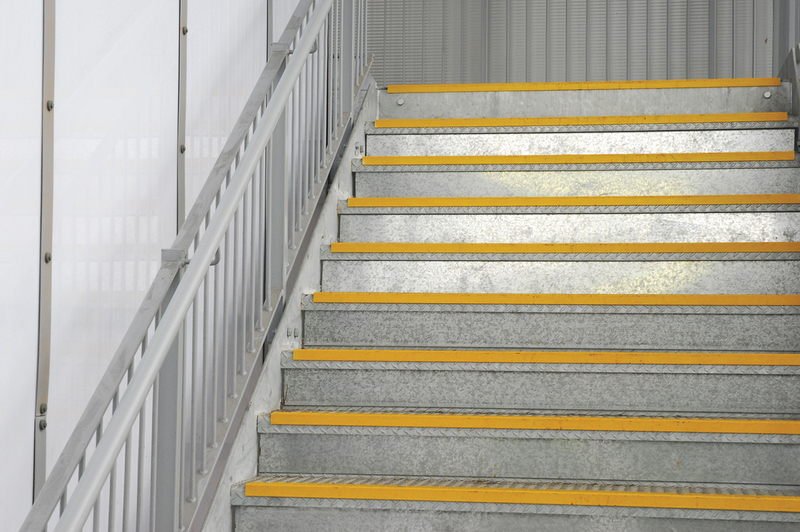 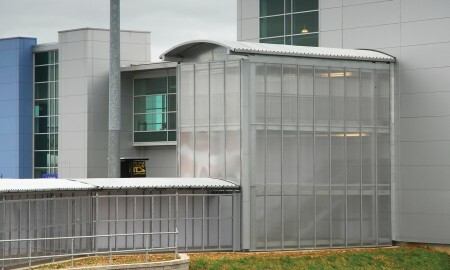 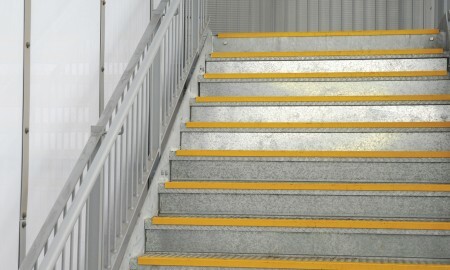 A larger secondary structure, covering the stairwell, was flashed into existing building cladding fabric.